When: Saturday, December 10, 2011 from 6:30pm to 11:00pm. How much: Tickets are $125 USD. Dressed to the K9's 2011 at Villa Marcella, Pedregal de Cabo San Lucas Saturday, December 10, 2011 from 6:30pm to 11:00pm..
You are cordially invited to attend the sixth annual holiday spectacular Dressed to the K-9's a fundraiser hosted by and benefiting The Los Cabos Humane Society. 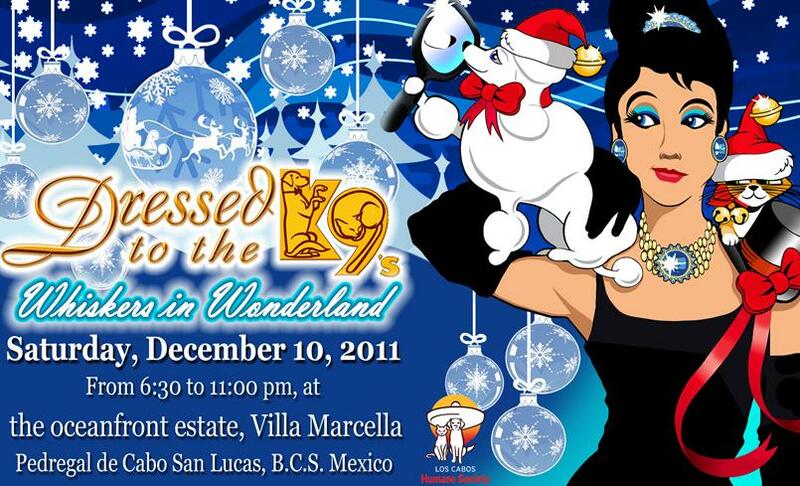 Dress to the K9's and join us to kick off the holiday season Saturday, December 10, 2011 at the oceanfront estate Villa Marcella, on the Pacific Beach in exclusive Pedregal de Cabo San Lucas. For more detailed information, please visit: www.dressedtothek-9s.com.